As I heard the Miami Marlins making it rain with their signings of Reyes, Buerhle, and Bell simply because they’re moving into a new stadium and now have more money. It couldn’t help make me wonder if the A’s could do the same thing if they were moving into a new stadium as well. Maybe they won’t spend on that same level, but it does give me some hope that they will be able to spend like the big boys one day. Unfortunately that we won’t really know if that day exists anytime soon because the MLB still hasn’t made any rulings on the A’s stadium situation and possible move to San Jose after three very long and frustrating years of waiting. All the 1,000 A’s fans have had to look forward to is if Andew Bailey or Gio Gonzalez gets traded for a bunch of minor league guys this off-season. At least last year they were throwing offers out there to Beltre and other free agents. This off-season it’s back to standard operating procedure. Our spending has gone down for three straight years, and even when we are in the free agent market nobody wants to come to Oakland unless they’re a semi-washed up pitcher or reliever. Even guys that want to stay in Oakland like Josh Willingham for a discount nonetheless, which is unheard of, since no hitter ever wants to stay in the spacious Coliseum can’t sign with the team because we’re waiting on the MLB’s ruling. I don’t fault Billy Beane like some have in recent years, because it’s impossible to build a team or plan for the future when you don’t know where you’ll even be. On the heels of one hell of an introduction to the MLB Postseason, a lot of us have received the shot in the arm we needed to get captivated by baseball in the form of a dramatic 162nd day of the regular season. Even though the A’s failed to qualify for the postseason for the fifth straight year, my season isn’t quite over yet. Today I’ll finally be heading out to the theater to check out the new Billy Beane flick, “Moneyball.” I’m really curious, and in some ways scared, to see how I feel about it. The movie looks great on paper. A-List actors, well-respected writers, and a critically acclaimed director make it an immediate favorite to win the World Series of baseball movies. Even the reviews are pretty much nothing but solid. I’ve even heard the word OSCAR tossed around. But I’m scared to get my hopes up to high for a movie I’m about to see, let alone one about my beloved A’s. I’ve found over the years, that the way I feel about the team is reflective of the way I feel about the movie, and vice versa. So, I’m especially curious to see how I digest Moneyball, which documents the 2002 season, which will forever be etched in stone in my memory. I went to somewhere in the neighborhood of 30 games that year, including the historic 20th win in a row, as well as the game 2 victory over Boston in the ALDS (Dyslecix and I left the Coliseum with little doubt that this series was a wrap). For that reason, I expect plenty of goosebumps as some of Hollywood’s finest reenact some of my most memorable A’s moments. Every clip of the movie I’ve watched so far has looked pretty bad. I didn’t see The Social Network or Capote, so I don’t really know what to expect when it comes to screenplay and directing. All I can hope for is that the movie doesn’t change the way I feel about the A’s. If anything, I’m worried it’ll make me long for the good ol’ days when my team was a winner. We’ll know, though, if that happens, then the movie was a success. In the meantime, I’m going to take a look at other famous movies about a particular MLB Baseball team and see how it helped form opinion – either about the team or the movie…. Minnesota Twins: Little Big League – I’ve always been neutral on the Twins. On the one hand, they’re a fellow low-budget, moneyball-type team. On the other team, they seem to pop up against the A’s in the playoffs every few years. I love this movie though, for two reasons. The fella who plays Lou is Timothy Busfield, who’s from Sacramento. Even more impressive is that Billy Heywood is played by Luke Edwards. Many of us remember him as the little brother of Fred Savage in the classic Nintendo film, The Wizard. Few of us remember him as the title role in the based-on-a-true-story, I Know My First Name Is Steven. Chicago Cubs: Rookie Of The Year – The only way you don’t love this movie is if you’re over 30. Otherwise, you dreamed of breaking your arm and magically being able to throw 105 mph. This movie always reminds of a relaxing weekend day, probably because that’s always when it’s on TV. It’s also probably because it’s about the Cubs, so all of the game footage is during the day. People often fail to make the connection between Henry Rowengartner and Kevin from American Pie, but overall, he was good in this movie – except when he struck a guy out and said, “Kewl!” The Cubs have been scouring the Little Leagues ever since, and have yet to find a pitcher as good as Rowengartner. Cleveland Indians: Major League I & II – I probably would have liked the Indians no matter what, since my best childhood friend’s cousin was the manager of the team from 1991-1999. Even if that weren’t the case, I’d always be a closet Indian fan thanks to the Major League movies. Know what else? I probably would have never picked them to go to the World Series this year either if it weren’t for these movies. New York Yankees: *61, Pride Of The Yankees, The Scout – For all the movies about the Yankees, I don’t think I’ve seen any of them. That’s pretty reflective of real-life, where I have a vague grasp of Yankees history, but haven’t really made the effort to get to know all the facts. Anaheim Angels of California: Angels In The Outfield – Don’t like the Angels. Never saw the movie. Looks like a pretty star-studded cast with Danny Glover, Tony Danza, Christopher Lloyd, Joseph Gordon Levitt, Adrien Brody, and Matthew McConaughey. I’m still not gonna go and watch it though. My life seems to be better without the Angels around. Detroit Tigers: For The Love Of The Game – I’ve never seen this, but it stars Kevin Costner, so perhaps I’m better off steering clear. I know of one friend who swears this is a great movie, but she’s a Red Sox fan, so perhaps I’m better off steering clear. San Francisco Giants: A League Of Their Own – Tom Hanks plays Bruce Bochy in this touching film about a bunch of women who came together to build a winner. Geena Davis stars as Buster Posey, and Madonna shines as pitcher Matt Cain. Lori Petty scored a breakthrough performance in her role as Tim Lincecum. But perhaps the star of the show was Rosie O’Donnell as Pablo Sandoval. The physical resemblence is out of this world. Oakland Athletics: Moneyball – TO BE DETERMINED…..
Brad Pitt, Academy Award winner Philip Seymour Hoffman and Oscar-winning screenwriter Aaron Sorkin were among those on the red carpet at the Paramount Theater in Oakland on Monday evening as “Moneyball,” the movie based on A’s general manager Billy Beane and the 2002 Oakland team, made its national premiere. “It’s very cool,” Pitt said as he paused on the carpet to speak to two Bay Area papers. “We’ve been gearing up for this viewing for a long time. This is a special screening for us. Another of the major actors, Chris Pratt, has a less than storied baseball background. Pratt, who plays first baseman Scott Hatteberg, said he has not hit a home run at any level, including T-ball, and in the movie, Pratt, a right-handed hitter, must bat lefty. Through the magic of cinema, his homer gives the A’s their record 20th consecutive victory. Pratt nails Hatteberg’s preparations at the plate, and he accurately captures Hatteberg’s joyous trip around the bases on the game-winning homer. *Other observations from the Moneyball premiere: Jonah Hill is HELLA skinny. Philip Seymour Hoffman looks like Sandy Lyle again. You wanna dance? Guillermo Moscoso’ll make you dance. Well, half the time. Like Chappy and I determined earlier today, he’s either lights out, or gets lit up. Today he was on fire though. Neither of us caught the game, since it was a weekday day game, but we both certainly kept up on it. 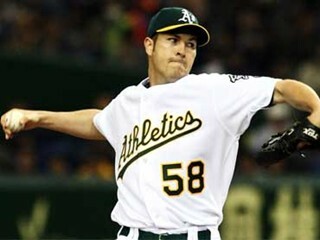 Oakland A’s pitcher, Guillermo Moscoso carried a perfect game into the 6th, and a no-hitter deep into the 8th. Apparently today’s start, coupled with his last start against Seattle, set an Oakland record with 30 consecutive batters retired. On paper, he didn’t appear to be particularly dominating. He struck out just four and had a ground ball to fly ball ratio of 3 : 19. But an outstanding performance is outstanding regardless of how it looks. And while the game itself doesn’t have much significance for the A’s for this season, Moscoso is looking more like yet another Oakland young player that, with a full season’s work, can help carry the team back into contention next year. While Chappy and I have spent the majority of the 2011 season calling for Bob Geren’s head and preaching conspiracy theories about ownership sabotaging the team, Moneyball the movie has begun to emerge and take us back to the good ol’ days. The movie has been in the works for years now, but it looks like it’ll finally come out this September. It’d be really nice if the A’s were still playing when it comes out, but I’m not holding on to much hope for that. Hopefully it’ll force fans outside of Oakland to wonder, “what the hell happened to the A’s?” A star-studded cast gives the movie credibility, and the presence of Brad Pitt as A’s GM, Billy Beane, will help a lot of guys convince their wives and girlfriends to go with them to see it. Aside from Pitt, I’m interested in seeing Jonah Hill in a serious role, as the fictional Peter Brand, who is actually based on Paul DePodesta. I’m also excited for Andy from Parks & Rec to play Scott Hatteberg. The cast is so stacked that Phillip Seymour Hoffman doesn’t even have any lines in the trailer, and Robin Wright is nowhere to be seen, from what I can tell. The best part about all this for me is that I noticed former Royals pitcher, Jason Grimley, appears on the list of characters. That can only mean one thing – that the incredible 20 game win streak of 2002 is going to be recreated. In fact, I can tell just from the swing that Hatteberg’s walkoff homer from that game is in the trailer. Having been in attendance that night, I already have goosebumps just thinking about that moment being in the film. The downside is the list of filming locations includes Fenway Park, which was the site of games 3 and 4 of the ALDS that year, when the A’s squandered a 2-0 series lead and lost to the Boston Red Sox. That’s going to be a harsh reminder of walking out of the Coliseum after Game 2, thinking the series was in the bag. Nonetheless, you can bet that I’ll be hitting the theater to catch this one when it comes out…. There’s quite a few surprise teams here in the first week of the MLB season, like the Orioles and Royals, but let’s focus on the negatives here. There are four teams that are playing downright ugly baseball to start the season. It’s not hard for us A’s fans, since we’ve had the privilege of witnessing 10 errors in the team’s first 4 games. Fortunately they were able to scrape out a 2-1 victory today to pull back up to 2-4. The Giants were able to do the same by beating the Padres pretty handily, though Brian Wilson had a shaky debut. 2-4 ain’t pretty, but to me, it’s a whole lot better than 1-5, or even worse, 0-6…. 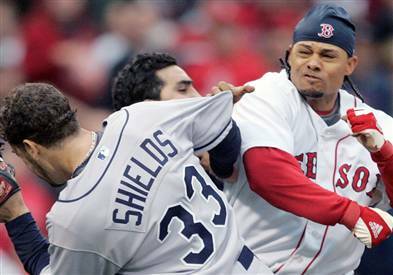 No one expected the Rays to be contenders this year, but no one thought they’d be this bad. Even fewer people thought the Red Sox would be this bad. I’m loving it of course, but I’ll hold back from piling it on until the season’s over and they DIDN’T make an improbable run into the playoffs. Obviously they’re off to the most disappointing start, but which team here has the most reason to panic early on?…. The tinkering continues in Oakland as the Athletics acquired 3B Kevin Kouzmanoff today from the Padres. He’s not exactly a guy I rosterbate to, but he can probably man the corner better than anyone else in house. 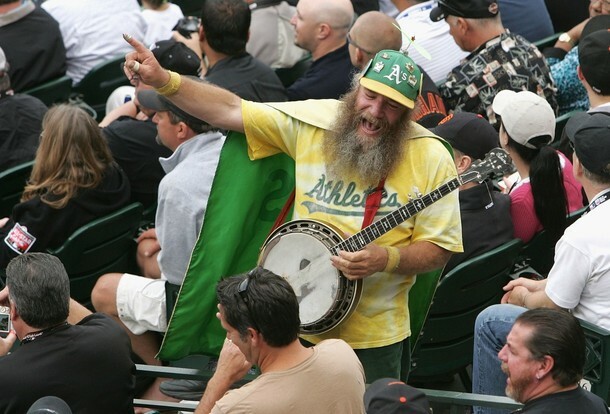 He comes to Oakland with a minor league PTBNL (rumor is a fellow called Eric Sogard. We’ll hold off on him until we know he’s in the deal) . Going back to San Diego is Scott Hairston, who was just acquired from San Diego last summer. The A’s are also sending fringe player Aaron Cunningham in the deal. Cunningham looked promising in his time in AAA-Sacramento, but never found his stroke in the majors, batting .211 in limited action. I’ve seen a good majority of his progression through the minors since he was acquired from Arizona in the Dan Haren deal. While he was one of my more exciting prospects, I ultimately concluded that he’ll probably project to no better than a 4th outfielder on a big league team. Hairston, meanwhile, was the clear odd man out immediately following the Coco Crisp signing. All in all, the A’s acquired a position of need – and quite frankly their most dire by far – while trading away from a position of strength. …Strength in numbers at least. While this move addressed some questions, it also raises just as many in my mind. Obviously the team got a veteran third baseman which they needed, but what does this mean for Eric Chavez? Don’t get me wrong, I’m about two full years removed from having stopped counting on Chavez being on the field, but I at least need some closure. Last I heard he was almost healthy. Granted that probably applies to him 95% of the time, but still. Perhaps he’s going to spend the majority of his time at DH, but wait, isn’t that what they brought Jack Cust back for? I really hope this move wasn’t made to clear room in the outfield for Cust. The other thing I still wonder about is the future of the third base position. Surely Kouzmanoff can’t be the long term solution. He’s a career .261 hitter whose average has declined in each of his three full seasons in the bigs. Not one to ever pay attention to fielding statistics, I couldn’t help but noticed that he’s cut his errors drastically each season, from 22 to 11 to just 3 last year. His fielding percentage has gone up each year as well, topping off at .990 last season. At least having a good defensive third baseman will alleviate a lot of roster concerns. I just really wish we had someone promising there in the minors. Brett Wallace was the most hope I’d had in years, and now he’s in Toronto. Don’t get me wrong, I’m equally excited about Michael Taylor. I just can’t come up with anything more exciting than Adrian Cardenas when I think about the A’s prospects at third. Problem is, Cardenas isn’t even a third baseman. It’s okay though, a good player is always just a trade away. At the rate the A’s are going, there should be a few more before the season rolls around. I had so many questions when Justin Duchscherer, the Athletics two-time all-star, decided to shut it down last August for the season. He seemed like he was on the road back to joining the A’s with a quality outing in Sacramento I figured he’d rejoin the team soon. Then out of nowhere he shut it down and cited emotional distress, aka depression. I was pretty curious what actually happened with him, since there were never reports on what it was truly about. The only updates A’s fans got were the ol, he’s making progress, he’s entered a program to treat his condition, etc. The A’s Drumbeat reports that the media phone interview with Duchscherer shed some light on his abrupt leave of absence from the organization. They said he was “paralyzed” when he got off a plane for a rehab start in Sacramento. It was the first time he’d ever felt that way in his life. He was diagnosed by the medical staff, and they found there were some off-field issues that had caused him to feel the way he did. In particular, he had never completely gotten over his divorce from a couple of years ago. I think I can safely say for all of A’s fans, that we are glad he’s got his head right, because he is one of those guys that we need on this team. Duke has always been a fighter and we know he can make it through whatever is plaguing him. He’s never been a complainer or hard to please. They’ve moved him from a starter, to the bullpen, to long reliever, back to starter and he never complained (not to the media at least). He’s the whatever I can do for the team kind of guy, which was why the leave of absence last year was so strange! It was good to see that we agreed to a new contract for him, and based on the interview this IS our best move we’ve made this off-season. He sounds like the anti-Favre as he wants to help the young guys and mentor them. He want’s to teach them how to pitch well when they don’t have their best stuff, and we know he will. Thanks for keeping it classy Duke, we are rooting for you this year. You are already my #1 feel good story in 2010! 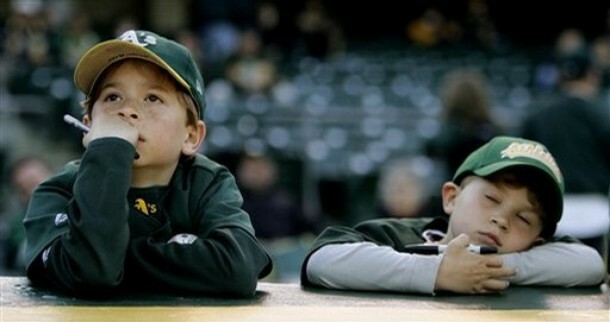 The Classic A's fan paradox: 1/2 maybe this is our year, 1/2 wake me up when the season's over. The turn of the decade is nearing us, and the Oakland Athletics are in a different position than they were in last year. Around this time a year ago, the A’s had made a blockbuster deal to acquire Jack Parkman Matt Holliday. This move had A’s fans excited that their team had taken the express lane on the rebuilding highway. Gone were future centerpieces Carlos Gonzalez, Huston Street, and Greg Smith, and the arrival of Matt Holliday lead to the signings of veterans Jason Giambi, Nomar Garciaparra, and Orlando Cabrera. 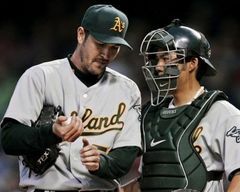 The moves had the A’s poised to challenge for the division crown, just two seasons after the rebuilding process had begun. Well, things obviously didn’t work out as planned, so we’re back to square one. Let’s take a look at the moves the A’s have made so far this offseason. Signed Dallas McPherson – This was the first noteworthy move of the offseason for Oakland, as the A’s added some depth at Third Base, where the incumbent has become an enigma after injuries have sidelined Eric Chavez for a good portion of the last three or four years. The only real 3B prospect in the farm system, Brett Wallace, wasn’t projected to stick at third, but we’ll get to that later. The A’s took a flier on McPherson, who once was considered a top prospect. However, numerous injuries, mainly to his back, have derailed his career somewhat. Interesting that GM Billy Beane went after a third basemen whose biggest downside is his back. Hmm, thought we already were set there. Nonetheless, McPherson should play a key role in returning to the championship. The AAA championship that is. 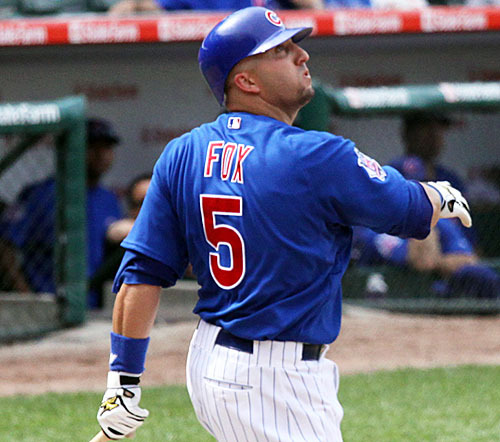 Traded for Jake Fox and Aaron Miles – The A’s didn’t give up much in this deal. Relief pitcher Jeff Gray dominated AAA as a closer, but for some reason, never really fit in with the big league team’s plans. Outfielder Matt Spencer has produced above expectations since being acquired in the Joe Blanton deal, but never really figured to be a major league prospect. So, to get players with big league experience, such as Fox and Miles seems like a precursor to more short-term moves. The A’s got a power hitting third baseman, who, surprise, has been called a liability defensively at third. But, no one questions Fox’s power, which is the primary reason the A’s acquired him. He should see more time at DH or OF than 3B while wearing the green and gold. Miles, meanwhile, was considered a throw-in from the Cubs, since he apparently turned out to be a clubhouse cancer. Players with spotted pasts always seem to clean up their act in Oakland, largely because they’re out of the spotlight. Since the middle infield basically consists of Mark Ellis and a handful of AAAA players, such as Cliff Pennington and Gregorio Petit, I wouldn’t be surprised to see Miles play a bigger role than Fox when the season gets underway. Released Santiago Casilla – One of my favorite A’s of the last few years, Casilla threw heat and for the most part was largely effective. He lacked control at times, however, and he always seemed liable to give up the big hit. He even closed some games out nicely when called upon. Casilla, like many A’s, was on and off the shelf with injuries, but proved to be a key asset in the bullpen. The A’s have no shortage of depth in the bullpen, so he became expendable. I have little doubt that Casilla will catch on elsewhere and play a big role as a setup man. 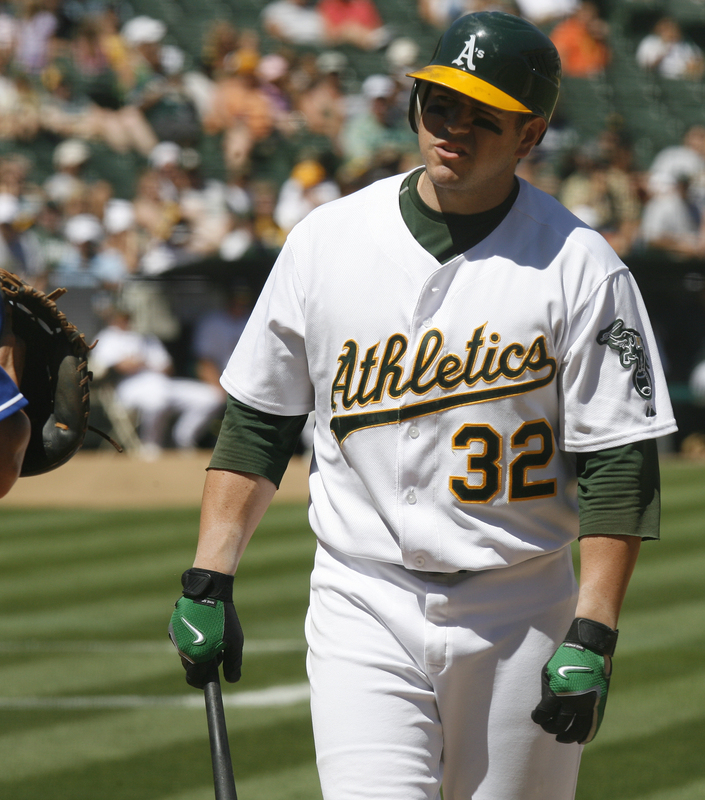 Declined to Offer a Contract to Jack Cust – This might be the biggest move of the A’s offseason. The Jack Attack was a mainstay in the A’s lineup, leading the team in home runs each of the last three season. His “Custian” bombs won over many A’s fans, but his strikeouts and defensive shortcomings turned off the rest. He had a love/hate following from the Oakland faithful, and many, including yours truly, are happy to see him go. Sure, his power was nice, but the A’s are forming a new identity as a speedy, defensive team. Cust, believe it or not, is neither. There is, however, still a chance the A’s could bring him back at a reduced rate, but at this time, Cust is out of the picture. Traded Brett Wallace for Michael Taylor – In case you forgot, Wallace was the key piece in the deal that sent Holliday to St. Louis. He was considered one of the best third base prospects in baseball. Though his defensive abilities there were question, the A’s insisted they would keep him at third, as opposed to moving him to first. They kept their promise, but clearly weren’t sold on him sticking at the position. Once Toronto acquired Taylor from Philadelphia in the Roy Halladay deal, they promptly sent him to Oakland in exchange for Wallace. Taylor seems like a slight upgrade skills-wise, but he comes in at a position of strength (in numbers at least) for the A’s. I see this deal working out well for the A’s, but fear that Wallace will turn into the Blue Jays’ franchise third baseman in the coming years. Signed Coco Crisp – This deal seemed like it was years in the making. Over the last two full seasons, we’ve heard Crisp’s name circled around the rumor mill as a potential trade target for Beane. Now that he was a free agent, the A’s were able to get him for a mere $5.5 million, instead of giving up precious prospects. What’s interesting is he was signed for the same, if not more money than they would’ve had to shell out for Cust. Instead, they’re getting a smaller, faster, better defensive player. You know, basically like another Rajai Davis. Wait, they still have Davis don’t they? Well, perhaps there are more moves in the making, but the A’s now have four quality outfielders in Crisp, Davis, Ryan Sweeney, and Scott Hairston. By the way, I use the term “quality” loosely. I just mean they’re probably too good to spend any time in Sacramento. Anyway, at this point, many figure Hairston to be the odd man out, but I still wouldn’t surprised to see Davis moved. As it stands, Crisp would take over center field, with Davis moving to left, and Sweeney staying put in right field. While not very intimidating on the offensive end, the A’s would go into the season with one of its best defensive outfields in club history. Re-Signed Justin Duchscherer – This move was a no-brainer, just as long as you can wipe last season out of your memory. The Duke was coming off his second all-star appearance, and was penciled in as the staff ace, as he was really the only starter who had significant big league experience. Offseason surgery, however, delayed his start to the season. By the time he was ready to play physically, he had dug such a deep mental hole, that the only K’s he was throwing were to his therapist. The contract he got was a Billy Beane special, meaning it was largely incentive based. Those deals have tended to work out well for the A’s in recent memory – see Frank Thomas. Duke’s base salary is $2 million, but incentives can balloon it to upwards of $3.5 million. This signing doesn’t look too notable on paper, but if we get the old Duke back, that’s a huge addition. This guy lost his banjo. If you find it, please return it to him. When Will the A’s Retire Dave Stewart’s Number? Today was Rickey Henderson day in Oakland. The next 30 days will officially be Rickey Henderson Month in Oakland as well. No doubt, this is all deserved, but it begs the question… when will it be Dave Stewart day? There are plenty of arguments against retiring Stew’s #34. He only spent upwards of eight seasons in Oakland… his career numbers aren’t overwhelming…. he only made the all-star team once…. and he never won that elusive Cy Young Award. The A’s have a pretty exclusive fraternity when it comes to retired numbers. Despite much history, only Rollie Fingers, Catfish Hunter, Reggie Jackson, and Dennis Eckersley have their numbers plastered on the outfield wall Mt. Davis tarp. That’s right… no Vida Blue, no Bert Campaneris, no Gene Tenace, no Mark McGwire, no Jose Canseco, and the list goes on. However, if one were to list the most memorable Oakland Athletics in the last 45 years, Dave Stewart would surely be in that class. He turned in one of the most impressive four year stretches ever during Oakland’s period of dominance from 1987-1990. He complied a record of 84-45 with a 3.20 ERA. He had an 8-3 postseason record with the A’s, including 2 of the 4 wins in Oakland’s 1989 World Series sweep of the Giants. Statistics aside, Dave Stewart should be included in this class of legends. Ray Fosse slipped that sentiment in during his speech today honoring Rickey Henderson. It was received with an overwhelming ovation from the Athletics’ faithful. Though he never won the Cy Young, he finished in the top four in the voting four years in a row. More importantly, Stew has continued to bleed green and gold, even after his playing days. He’s there any time someone else gets honored, and he still remains Oakland’s most intimidating starting pitcher since his heyday. When it’s all said and done, the organization should retire his number for one reason: The fans want it. A’s fans appreciate history as much as any other club’s, and I’d be surprised to hear any naysayers suggest that Stew doesn’t deserve this honor. He was a terror on the mound and a class act off of it. Since the A’s don’t appear to factor into the title hunt in the next year and a half, here’s hoping Dave Stewart Day is on the docket for the 2010 season.